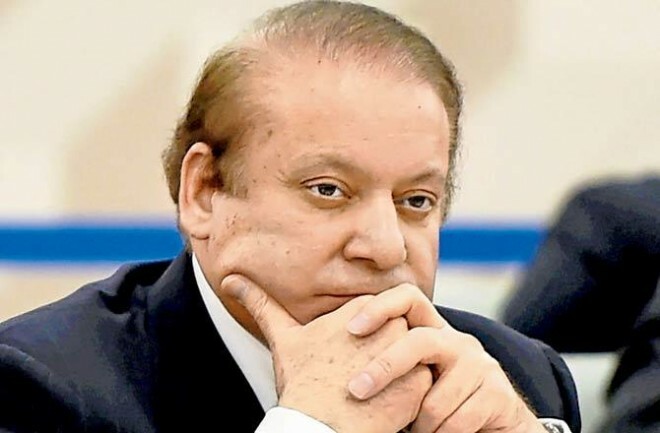 Islamabad, March 5: The Pakistan Supreme Court has rejected a request moved on behalf of former Prime Minister Nawaz Sharif for an early hearing of his appeal against last month's Islamabad High Court (IHC) order of turning down his plea seeking bail on medical grounds in a corruption case. On March 1, senior counsel Khawaja Haris Ahmed had filed the appeal before the Supreme Court on behalf of Sharif, asking the apex court to grant him bail after suspending the execution of the December 24, 2018 sentence, reports Dawn news. But the Supreme Court registrar office on Monday returned the application for early hearing on the grounds that no special treatment could be accorded and the routine procedure would be followed to take up the matter. In his appeal, Sharif argues that he retains the right to have his medical treatment conducted by the practitioner of his own choice despite his conviction and consequent imprisonment in jail. The IHC in its February 25 order had held that none of the medical reports about Sharif's condition suggested that his continued incarceration would in any way be detrimental to his life, adding he had been hospitalized time and again since January whenever he made complaints about his indisposition. But Sharif's appeal contended that the IHC order was in violation of his fundamental right to life. The anti-corruption court judge had last year imposed hefty fines on Sharif after ruling that Al-Azizia Steel Mills — a Saudi Arabian firm carrying the name of his son — belonged to the three-time Premier and that he was unable to demonstrate how the project was funded.